It's official: autumn is here. As much as I have tried to deny it, it's just not possible any longer now that it is September. As the weather has turned a little cooler recently and my daughter headed off for her first day of preschool, I feel as though I can almost hear my winter jacket and hat start to call my name. But until the snow actually starts to fall, I'm going to enjoy this season by folding up some tank tops, putting a few pairs of sandals under the bed, and pulling out one of my favorite styles of footwear: flats. There's just something about the way that a pair of flats can be cute, comfortable, versatile and fashionable all at the same time that makes them an essential item in a woman's wardrobe. And with the HUGE selection and affordable prices at Jenlinn.com, the hardest aspect of shopping there is deciding on a favorite. ...there is sure to be a pair (or two. Or ten) that will match your style and personality. 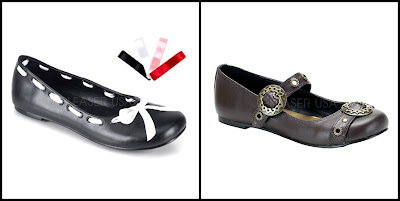 Better yet, all of these options are all part of the same line, so once you've decided that the DAISY flats are for you, you'll easily be able to go back and order another color or a slightly different accessorized style to match even more of your outfits. I love the idea of the DAISY-20 Black/White Polka Dots with jeans, because the adorable style and sweet polka dots would add just the right amount of cuteness to dress them up! Even better that you have the ability to change the ribbon lace around the edge to any of the four provided colors (or any others that you might already own), as then you can customize one pair of shoes for different days and occasions. Retailing for $36, I can see these DAISY flats being worn to work, out for date night, to a wedding this fall, and much more. On the chance that you need something with a little more pizazz than flats, I love that Jenlinn.com also offers the CUTIEPIE-06 Polka Dot Print Pumps because they're just as stylish as the DAISY line but with a definite kick to them! 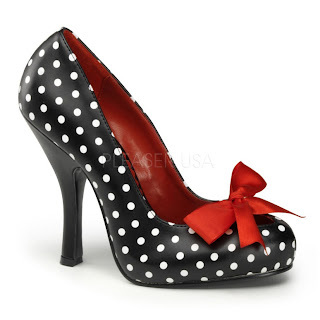 I'm not the only one who adores polka dots, right? 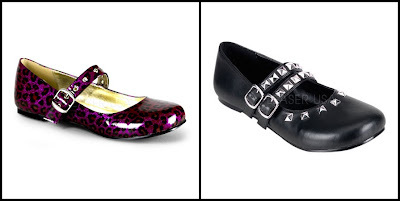 Whether you like patterns, solids, bright colors, simple black, sequins, peep toe, casual, dressy, or more, Jenlinn.com will have the flats that you're sure to love this fall. And don't forget that any purchase that you make is backed by their 100% satisfaction guarantee - you'll love your new shoes or you get your money back. So there's no worries that you won't be happy with your choice... provided you're able to pick a favorite from their massive selection! To enter to win: Visit Jenlinn.com and tell me which cute style of shoes (other than those mentioned above) you would most like to wear this fall. 3 Extra Entries if you blog about this giveaway linking back to Thanks, Mail Carrier and Jenlinn.com. Please leave an address where it can be found. Giveaway will end on September 22nd at 11:59pm CST. Do me the favor of leaving an email address or making absolutely sure it is visible in your profile, I have to have a way to contact the winner. The winner will be chosen by random.org and announced here as well as emailed and will have 48 hours to contact me or respond to notification or a new winner will be chosen. This giveaway is open to U.S. residents only (no P.O. boxes) and the winner will be required to create an account on Jenlinn.com in order to redeem their prize. A big thank you to Jenlinn.com for providing a pair of DAISY flats for one lucky giveaway winner. The opinions shared are my own and honest and if you really need to see more, click here to see how I roll. I like the disorder boots, kinda combat kinda not...versatile...still love chunky shoes, they make the rest of you look no chunky!! I like the Leather Upper Flat Casual Shoes Reneeze in Grey. I would love the GLENN-02-BKPU flats! I hope I win!! I like the candykorn flats. I loved the women's fashion sneaker (black/white). I like the Leather Upper Women Flats in Coffee color. I think the DICADA-01 PU Fold-Over Mid Calf Boots are really cute! I like the KandyKorn flats and also the Lace up Fashion Sneakers. I also like the Bettie style heels. 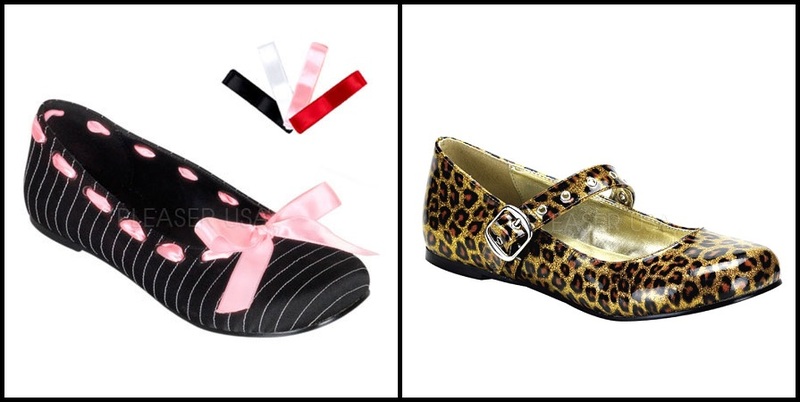 I would love the GANGSTER Lace Tie Pumps! I have always wanted a pair of heels like these! I like the Andy sandal it is cute. 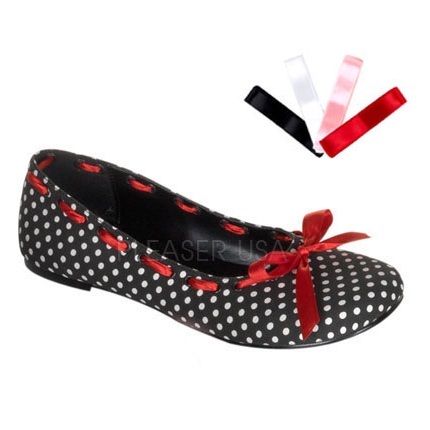 I love the Daisy-20 Black/White Polka Dots! I like the Women's Suede Buckle Ankle Boot in black. I must have the BLOODY-16 Black Patent-Red! The Peep Toe Pumps in red are fantastic! the DAISY-06 Black Pu. my inner goth loves them. I like Jenlinn on facebook. I love the Dicada Fold over mid calf boots in black! I like you on Facebook and would love to win this! I like the Andy sandal. Thanks for the great giveaway!